Months of preparation and outstanding dedication on the part of all of Kumpan’s supporters have finally paid off: As we previously informed you in our December update, we’re eagerly awaiting the grand opening of our first Kumpan store in Germany. Now the time has come, and we hope to spend this special day together with you. That’s why we’re inviting you to share this moment with us, our Companists, and our store manager, Harald. When: Saturday, March 18th from 10:00 a.m. to 6:00 p.m.
We hope to welcome you as our guests on this day. Currently, we’re also planning on adding additional stores throughout all of Germany. If you’re interested in helping us on this journey by opening your own Kumpan store, then we’d be happy to meet you. So let’s change the streets of tomorrow together! 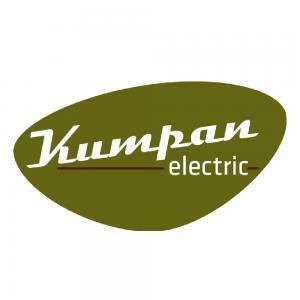 Make sure to please also invite your friends and business partners to become a part of the Kumpan family. Follow us on Facebook, Instagram, YouTube, and Twitter and experience the electric revolution in real time.